Resources prepared for the Virginia Council of Teachers of Mathematics conference, VCTM 2016. –Bendaroos are a brand of wax covered string that closely approximate the behavior of plastic filament extruded from a 3D printer. See also Wikki Stix. -Explore the Maker Movement with Make Magazine and attend a Maker Faire. -Explore Maker Education (MakerEd) with Invent To Learn and MakerEd.org. 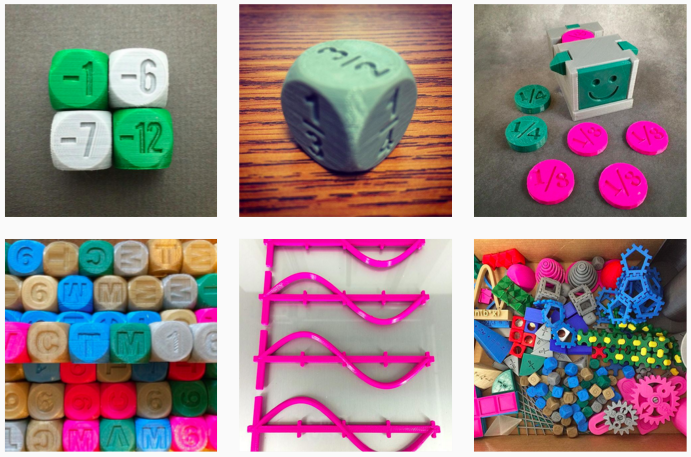 Page dedicated to Laura Taalman aka @mathgrrl for all the inspiration and opportunities. She is a 3D Printing Math Teacher Super Star!! !